As the excitement, free gifts, and booziness of Christmas and New Year are replaced with the drone of colleagues talking about their successful Veganuary and Dry January schemes, the first month of the calendar year can be a bit of an anti-climax. 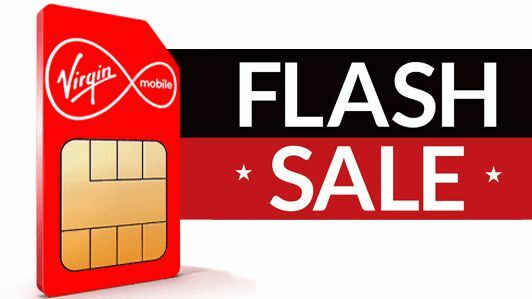 Thankfully, Virgin Mobile has unleashed a series of thrilling new deals on its popular SIM-only mobile plans. The mobile carrier, which runs the same 4G infrastructure as EE and offers almost the same coverage nationwide (EE still offers faster speeds and is accessible in some remote areas where its mobile virtual network operators get no signal), has tripled the amount of data you get with select SIM-only contracts. As such, you can now bag a frankly ludicrous 120GB of 4G mobile data each month with unlimited texts, and unlimited calls for just £20. That should be more than enough to ensure you're always able to stream the latest album on Spotify, catch-up on the hottest must-binge boxset on Netflix, and back-up all of your photos and video to your cloud storage solution of choice without even making a dent in your total allowance for the month. You're also have the ability to roll-over any unused data, so none of that massive 4G allowance will go to waste. Well, there's no two ways about it – this is an incredibly generous SIM-only offering from Virgin Mobile. The deal includes an astonishing 120GB of data each month – with the ability to rollover any unused 4G into next month, too. You'll also benefit from all the usual perks of a Virgin Mobile contract, like unlimited access to Virgin Media's network of 3.5 million public Wi-Fi hotspots around the UK, including across the London Underground network. The contract runs for 12 months, and is easily the best SIM-only we've seen in the January Sales – and comes dangerously close to Virgin Mobile's Black Friday offering, with the benefit of not having to wait another 11 months to upgrade your mobile plan. If 120GB of mobile data seems a little too generous for your modest mobile usage, Virgin Mobile has also trebled the amount of available 4G data on its 2GB SIM-only contract. That brings the total monthly allowance to 6GB for £9 a month. Unlike the above, it does not include unlimited calls – with those who opt to this contract only given 1,500 minutes. There are unlimited texts, however. Both of these deals are available from January 15 to January 31, 2019. If you don't fancy signing up to Virgin Mobile, then why not check the other options available in T3's interactive comparison chart below?